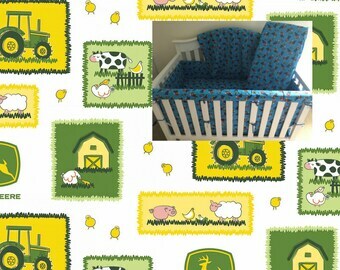 Custom Baby Bedding and Clothes. Made in USA. Announcement Our current production time for most items is approximately 4-6 weeks. 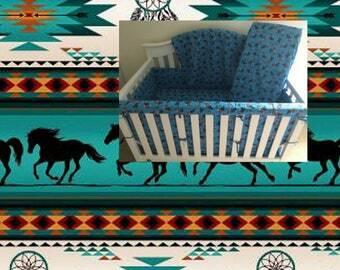 Crib single Sheets ship within 5-7 business days, Baby-Standard-Toddler Blankets - usually ships within 2-4 weeks. Please check detailed processing time below. - Bedding Sets, Twin/Full/Queen Blankets and Comforters, Blackout Curtains, Large orders 30-40 business days (6-8 weeks). Rush Fee Quotes can very before HOLIDAY season. Please convo me with your time frame prior to ordering. Also, some of popular items we have ready-to-ship. Please, check our READY TO SHIP section or ask about availability. I ship all of the orders to the address on your PayPal account or to the shipping address you provided during checkout. If your shipping address is different, please change it before placing your order. I will not be responsible if I ship to the address you provided during the checkout and it turns out to be the incorrect address, reshipment charges will be due. - I provide tracking information with all of my packages and once the tracking information became available, it is out of my hands. I am not responsible for lost or stolen packages. - Insurance for domestic and international packages is optional for all items. With no insurance purchase I will not be able to file a claim if the package has been stolen or lost. -There is a Buyer's responsibility to pay all of the local/country taxes and custom clearance if necessary. Message us if you need your item now or by particular date! 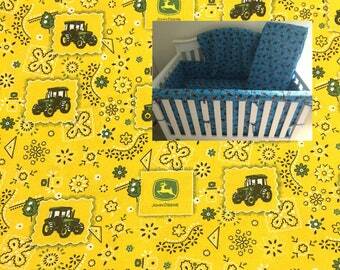 Love fabric print and need a set or particular item in this print? Just convo us for a Custom Listing. 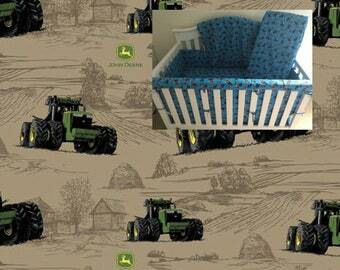 We create 100% handmade from scratch Custom Baby/Toddler Bedding, Clothes and Accessories. 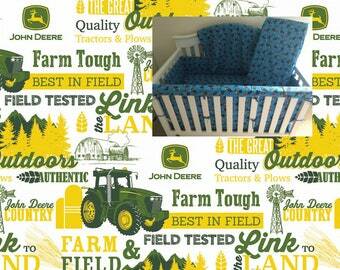 Let your kids wear 100% COTTON clothes and sleep on a 100% COTTON bedding! Please support us with your 5***** feedback and we'll say "Thank you" with additional discount coupons! Join hundreds of moms who chosen NaturalForMyBaby for their dreamed natural baby nursery! I will work with you during the whole process of creation to ensure your every vision is captured in each of your accessory. We never leave your questions not answered! Our Customer Service manager works 24/7 and answer all your questions within 1-24 hours. She will help you with a right size/print/design choice. 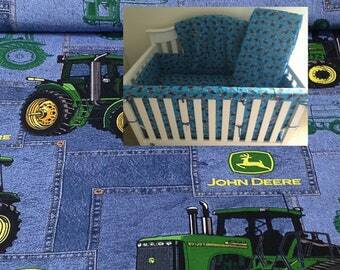 Please ask your question, request a fabric swatch, ask additional pictures prior to ordering. Fabric swatches are available for $1,5 by request. 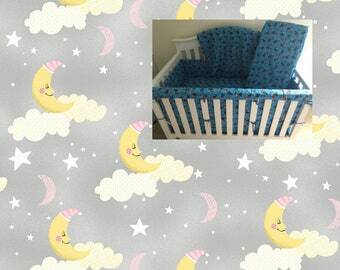 +++ Crib bedding fit standard US cribs with a 28x52 inches mattress. 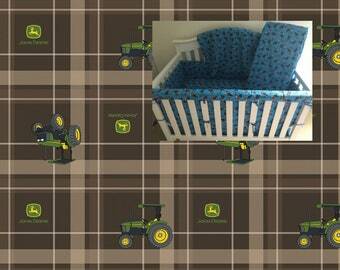 If you have a different crib size please convo for a custom listing. 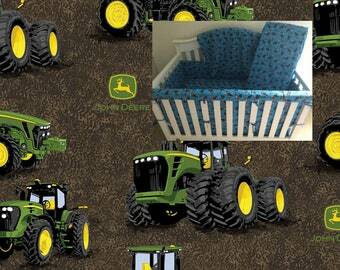 +++ Bumpers have 4 sides and fit a US crib with a 28x52 mattress. +++ Pillow cases fit the sizes of the pillows listed in the listing description. There is a possibility of minor variation +/- 0.5-1.5in of the pillow case size, but we guarantee it will fit your chosen pillow size perfectly. +++ Comforters have 100% cotton print on Top side + 100% natural cotton low loft (2-3mm thick) warm batting in the Middle + Cuddle (minky) on Back side. +++ Sizes of Patchwork Blankets, Regular minky blankets and comforters are approximate and can vary a bit due to handmade work. +++ Pictured print can be turned clockwise or counterclockwise. If you need a specific pattern direction please let me know prior to ordering and I will let you know about the possibility. 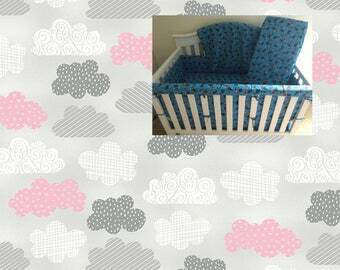 +++ For Mommy/Daddy&Me Clothes sizes check listing description. - When will my order ship? Please check ***Processing Time*** section below. - Will you send me tracking? Yes that will be emailed when your order ships. - Can I get my order early? Please convo me prior to ordering, there will be rush fee for this service. - Can I get a quantity discount? You will get combined shipping rate. - How long does it take my order to be delivered once it ships? 2-5 business days for US orders, 3-8 weeks International. 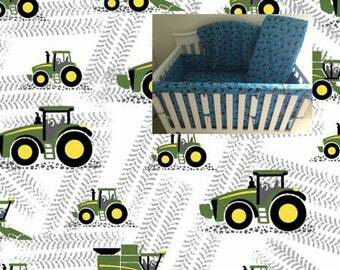 - Can you create a Custom crib set with a fabric from Joann store? 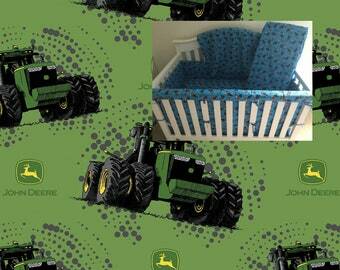 Yes, I do make it, custom fabric fees 5$ per each yard of fabric used will be applied to your order. For comforters, rail covers we use 100% cotton filler. 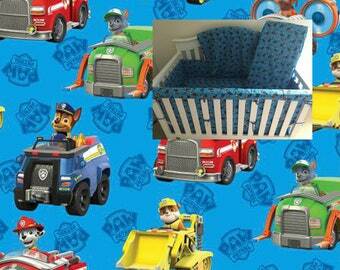 For stuffed toys and bumpers we use hypoallergenic filler only. For most of our blankets we use super soft cuddle (minky) fabric. Because me and my designers have no less than 5 years of sewing experience and use the latest techniques and equipment to create each item - all our customers will receive professionally created and finished items. This is a 100% handmade work from scratch. Made in Georgia, USA. Materials used to create your order sometimes can very a bit - depending on the current stock. Shade of fabric, print layout, stitch length and place, edge finishing and such can be slightly different, but the final look of the item will be pretty the same. 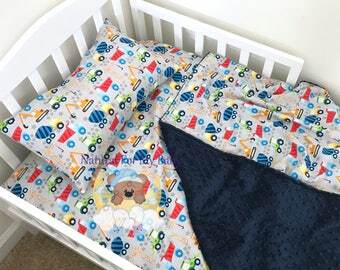 Also, because each element of your item has been crafted by hands there is NO THE SAME blanket, fitted sheet, letter, pillow case, handcrafted toy, pant, diaper cover or other item! No absolutely the same layout or element placement - each item created in our store is unique. There is no 2 absolutely the same items. Your item will be very similar to pictured, but not the same. We do not accept returns unless it was our error. This is a customer's responsibility to check the order at the moment of delivery. If there was a malfunction with your order you should let us know about it within 3 days after delivery. If there was our mistake or error we will fix everything within 3-5 days after delivery. All orders, accepted for fixing errors must be shipped back within 3 days after we provided you a return address in THE SAME condition as your order has been delivered to you. Otherwise item will be considered as accepted by the customer. Please be sure you ordered a correct size and print. Swatches of fabrics are always available for purchase by request. I will issue a refund as long as the order hasn't gone to production. Usually fabric reserves for your order within 5 minutes and order is in work. We do not cancel orders or make refunds after we started working on your order. All designs in our store are property of Naturalformybaby. All projects are original work. Copying, reproducing, duplicating, performing, circulating or posting any images and designs is protected by copyright. Please ask for permission before publishing or distributing. Our current production time for most items is approximately 4-6 weeks. 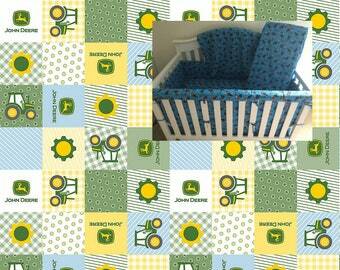 Crib single Sheets ship within 5-7 business days, Baby-Standard-Toddler Blankets - usually ships within 2-4 weeks. Please check detailed processing time below. 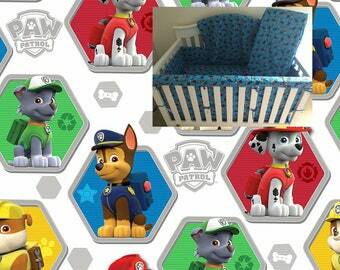 My daughter absolutely loves her puppy dog pals complete bedset. Thank you so much!!!! Really cute and nice quality blanket! Very fast delivery too! Can’t wait to give it to my son for his birthday! Wonderful colorful print Dr Seuss blanket or comforter will be a great add to any kids room! 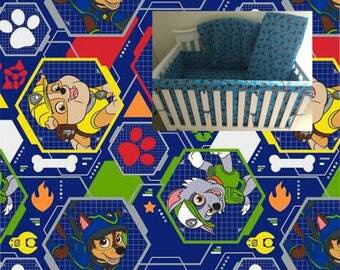 This set is just a bestseller and so loved by big boys during transition to a toddler bed! Thank you so very much for letting us to create all this custom beauty! Each of your item handcrafted with love! 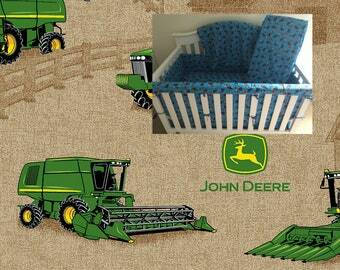 Custom embroidery can be professionally made on blankets, patchworks, pillow cases and even on crib sheets! 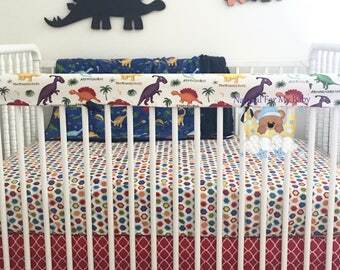 Best transition sets from crib to toddler bed is ready! Cartoon characters, trucks, flowers, sport, ballet.. Waiting for a little owner! Gift messages, gift packaging, our branded bags with handles and colorful merchandise bags are available by request! I am a Mom of a wonderful little boy and a member of our Local Moms Community. I know how it is SO very important to have a comfortable natural (not Polyester!!!) 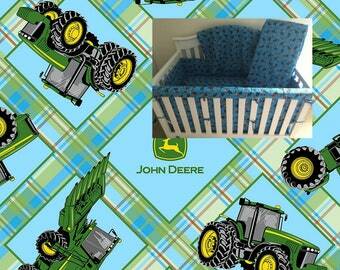 bedding for your little one! 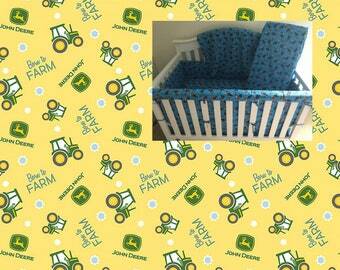 We'd like our babies grow healthy that is why we are trying to find and use 100% Natural materials only. 15+ years experienced artist, designer of all NaturalForMyBaby collections, collection of cotton underwear/pajamas and more than 70 collections of handmade wedding accessories. I love to create custom items because they are full of love and dreams! Professional IT specialist and fastest shipping manager in Powder Springs. Lightning shipper is his second name! His pictures featured in many baby/wedding/fashion magazines in Europe and it's a honor to work with such a professional! She is not an ordinary seamstress with 10+ years of experience. First of all, she is a talented professional artist and experienced manager! Talented artist and 10+ years experienced seamstress. She is youngest in our team, but so professional! 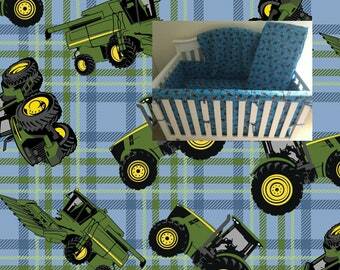 Bedding Sets, Large Blankets/Comforters, Blackout Curtains, Large Orders - 4-8 weeks. If you are in rush usually we do provide rush services, please check our RUSH SERVICES section. Rush Fee Quotes can very before HOLIDAY season. If you are in rush please convo me with your time frame prior to ordering. - When will my order ship? Please check Processing Time section above. - Can I get my order early? Please convo me, there will be rush fee for this service. 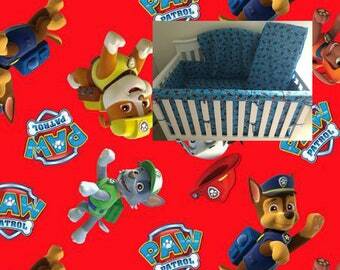 - Can you create a Custom crib set with a fabric from Joann store? 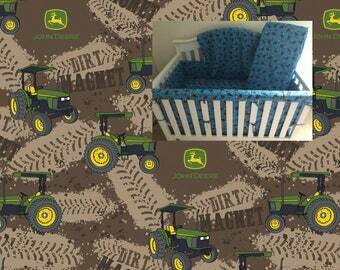 Yes, I do make it, custom fabric fees per each yard of fabric used will be applied to your order. - Insurance for domestic and international packages is optional for all items. +++ Comforters have cotton print on Top side + 100% cotton 2-3mm thick batting in the Middle + Cuddle (minky) on Back side. +++ Sizes of Patchwork Blankets are approximate and can vary a bit. Because of the item handmade nature and hygiene reason All sales in our store are final. No refunds will be issued. I will issue a refund as long as the order hasn't gone to production minus 40% restocking fees as I order supplies after the order has been placed + cancellation fees 4% + 0,2$ will be applied. Should I pay customs and import taxes? The recipient is the importer of record and must comply with all laws and regulations of the destination. Orders shipped outside of the United States may be subject to import taxes, customs duties and fees levied by the destination country. The recipient of an international shipment may be subject to such import taxes, customs duties and fees, which are levied once a shipment reaches the recipient's country. Additional charges for customs clearance must be fulfilled by the recipient; Etsy and seller has no control over these charges, nor can Etsy or seller predict what they may be.